Antioxidant-rich black tea, fresh organic ginger, milled spices and a touch of evaporated cane juice. Oh. My. Goodness! This is SO good. This is so good, that I am on my second cup within a half an hour! According to the website, Bhakti Chai uses fresh pressed ginger as opposed to dried ginger. The difference this makes can be tasted! The ginger tastes zippier, zingier, and ginger-y-er! The black tea base here is a smooth tasting tea, but really, the focus of this chai concentrate is the spices. And, that’s quite alright with me, because this is so delicious that I wouldn’t want to change it. It’s absolutely perfect. The ginger is the dominate flavor, and I can taste the black pepper supporting the flavor of the ginger. The cardamom and cloves are a bit more subtle but can be tasted, providing that familiar background chai flavor. The fennel is also quite subtle, but, I taste a hint of licorice-like sweetness in the distance. One spice that seems to be “missing” is cinnamon – which is a common chai ingredient. But, even though it isn’t in this chai, I’m not missing it. Don’t get me wrong, I love cinnamon, but, like I said before, this tastes so good that I wouldn’t want to change it. The ginger provides a lot of warmth (or “agni”) and offers a very warm, comforting sensation starting at the back of the mouth and permeating its way to the belly. This is a perfect cuppa on those cold winter-y days. Like today! This original concentrate is sweetened, but, I am not finding it too sweet. 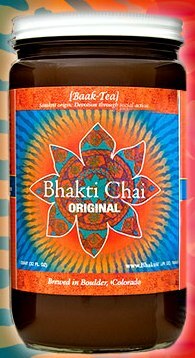 Bhakti Chai also offers an unsweetened version, which I will review at a later date. If you like Chai Latte – this is definitely one you should try. I love this stuff! Spice up your life this season with our chai matcha latte made from organic freshly ground spices cardamon, cinnamon, cloves… and japanese matcha. Accent our chai with a cinnamon stick or dollop of whip cream and enjoy hot or cold. This is a perfect Matcha Latte … and a perfect Chai Latte for that matter. It is so good. This is gently spiced – not something I would categorize as spicy. More like warm and soothing. It is sweet but not cloying. It is smooth, rich and creamy. The combination of adding steaming milk and the Matcha make for a very foamy, frothy beverage. The Matcha base tastes vibrant. It has a light vegetative taste. 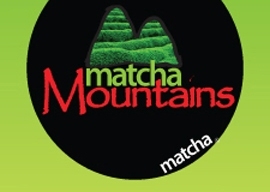 It isn’t as vegetal as a typical Matcha. Perhaps that is because it’s a latte mix, or perhaps it’s because the spices cancel out some of the grassy tones, or it could be because the milk offsets the vegetative qualities of the Matcha. But if you’ve tried Matcha in the past and found that strong vegetative taste to be a little off-putting, try this! I absolutely LOVE this Matcha Latte. I love it so much, in fact, that my cup is empty! I don’t usually finish off the cup before I finish writing the review… but, in this case, it tasted so good I couldn’t stop! It’s a yummy treat! A generously spiced blend of fine black tea and freshly-milled aromatic spices. 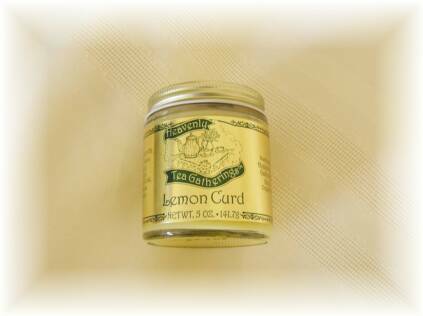 Ingredients: Filtered Water, Evaporated Cane Juice, Fair Trade Certified Organic Black Tea, Organic Cardamom, Organic Clove, Organic Cinnamon, Organic Ginger, Organic Black Pepper, Organic Fennel, Organic Nutmeg, Citric Acid. Having already tried the Spicy Ginger Chai Concentrate from Third Street Chai, I felt confident that I’d also like this “Authentic Chai” Concentrate from the same company. And I do. This is actually quite similar to the Spicy Ginger Chai except, obviously, it isn’t as spicy. While this chai still has some detectable ginger flavor, it isn’t nearly as spicy. 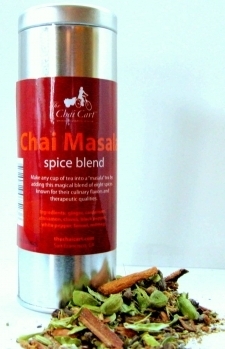 This is the chai for those who like their chai lattes to be a little more gently spiced. But make no mistake, the spices are still here. This is much more like a coffee house chai – smooth and rich in flavor, but even-tempered enough to enchant even those who are otherwise put-off by the spicier things in life. Personally, I like the heat of the ginger in the Spicy Ginger Chai. That being said, I think that this slightly milder version is a better accompaniment with meals and especially with that morning scone! I really love these chai concentrates from Third Street Chai. It lets me enjoy a delicious chai latte any time of the day with very little mess or fuss. And the price of one 32-ounce concentrate bottle is about the same price as one chai latte from the local coffee house! This chai from Third Street Chai is the best of both worlds: convenience and value! Smile at Yesterday. Fall in Love with Today. Kiss Tomorrow. Bright. Open. Giving. A Sense of Purpose. The Power to Envision and Create. One box of RASPBERRY CREAM contains 60 pixies of RASPBERRY CREAM GreenTeaHP. For best results drink a minimum of two pixies every day, one during breakfast and the other during lunch. Mix each pixie in 12 – 16 ounces of cold water. 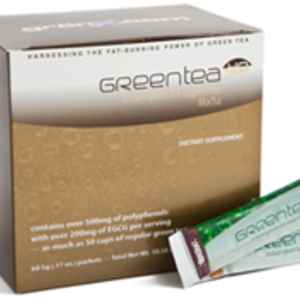 Here at SororiTEA Sisters we have reviewed a handful of the GreenTeaHP/Green Tea Pros Products and I must say they continue to amaze us for different reasons! One of those reasons, for me at least, is that their flavors actually DO smell and taste completely different that their other flavors! I have had other ‘products’ from other companies who claim they have all these different flavors, but to me, they all seem to taste the same or at the very most taste very similar! But NOT at GreenTeaHP/Green Tea Pros! They do it right! Each of their MANY flavors has their own personality, aroma, taste, and mission! And I LOVE that! As for their Raspberry Cream…I give it a sparkling review! It has a Raspberry Mocha type taste to it that I really like! It smells like Raspberry…very pleasant! The “mocha” taste I will chalk up to being the “cream” part of it. It gives you a kick at the beginning of the sip and a smoother finish. It has a lighter and semi-smooth aftertaste that I also appreciate! 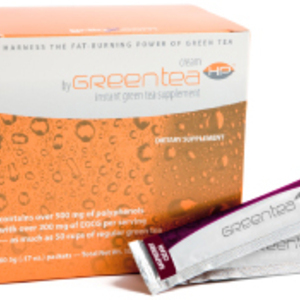 Another good product from our friends at GreenTeaHP/Green Tea Pros!